Today, Friday, January 25, 2013 marks a fabulous lunch date with my longtime friend Jason at Cafe Sebastienne, a restaurant which nestles comfortably inside the Kemper Museum. I hadn’t seen Jason for a months, so we needed a space that offered not only good food, and a relaxing ambience- somewhere we could take our time. Before I go on, I do have to admit to you that I work part-time at Cafe Sebastienne as a host, but this will never impair my critique of the restaruant or the food. I am especially NOT biased in one way or another regarding the food, because anywhere I go, I like some things and I dislike other things- and either way, I will definitely say something about it, all while recognizing that everyone has a different palette than mine. For lunch today though I had the fish of the day, grilled salmon, coated with a tangerine agrumato (citrus oil). 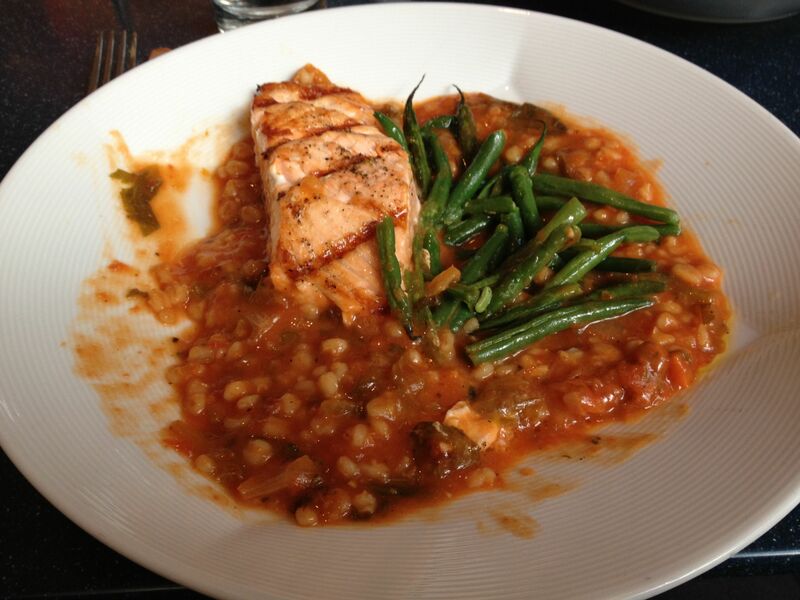 The salmon was served medium rare over a tomato barley stew, and sided with fresh green beans. When it arrived, the presentation was a lot better than the photo I captured. In fact, I had already started to dig it, before I realized that I needed to take a picture. Oye. The stew was a little creamier than I expected, and not quite as flavorful with savory spices as I had hoped, but the salmon was perfectly medium rare and green beans were not overcooked. I had planned to take half of my meal home, but I indulged and ate the whole thing. From my experience while eating many times at and working at Cafe Sebastienne, one can never go wrong by ordering the fish, as it is always the fresh and of the best quality. After I scarfed down my food, paired with a glass of rose’ wine, I ordered dessert: a tasty apple rum raisin crisp with ginger ice cream. Jason has a slice of budino, a rich flourless chocolate cake. Sorry to say I did not get pictures, so you’ll just have to go in and taste test the desserts yourself. Overall, my experience was good, with Charles as my server, my food was fabulous, but most importantly it was the great company I had at lunch that topped it all off to a marvelous day! 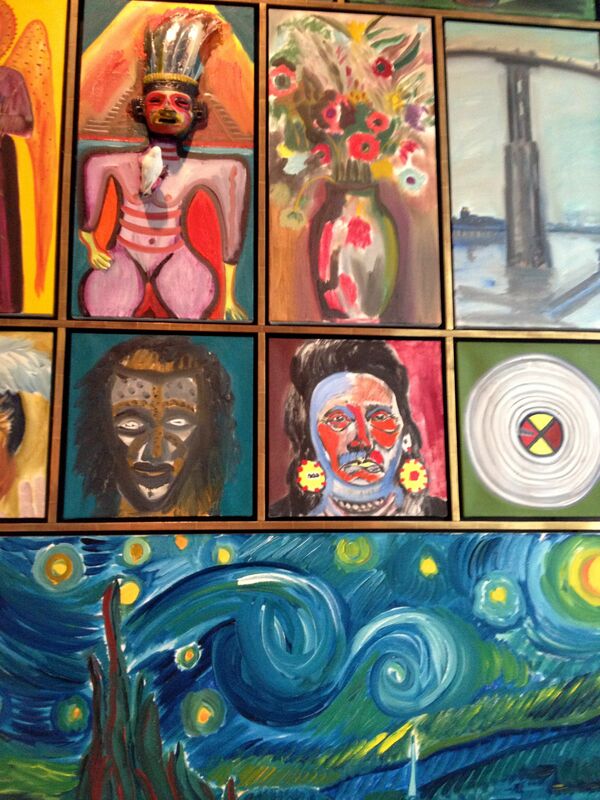 This entry was posted in Cafe Sebastienne, out to eat and tagged cafe sebastienne, out to eat. Bookmark the permalink.